digital marketing strategy:what are you measuring? Google have been hit with a record fine of £2.1b today for distorting the market. The BBC news article can be read here. The fine is unprecedented in the EU and Google stands charged with promoting its on own shopping comparison service at the top of search results. I am sorry. I must be a bit dumb but am I missing something here? Granted, Google is the dominant search engine in Europe , with over 90% of searches being carried out daily on the platform. But it now stands accused of “promoting its own service” ahead of others, clearly ruffling the feathers of other shopping comparison websites that have reportedly seen a drop of upto 80% in their services. So, Google’s own “shopping” service is being promoted on Google ahead of other shopping services? Is this new? Is it even news? 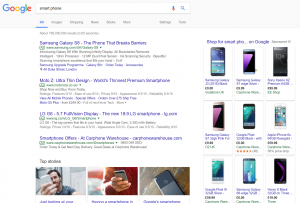 When we use Google to search, as consumers we all know that Google has “paid” adverts appearing at the top of the results. 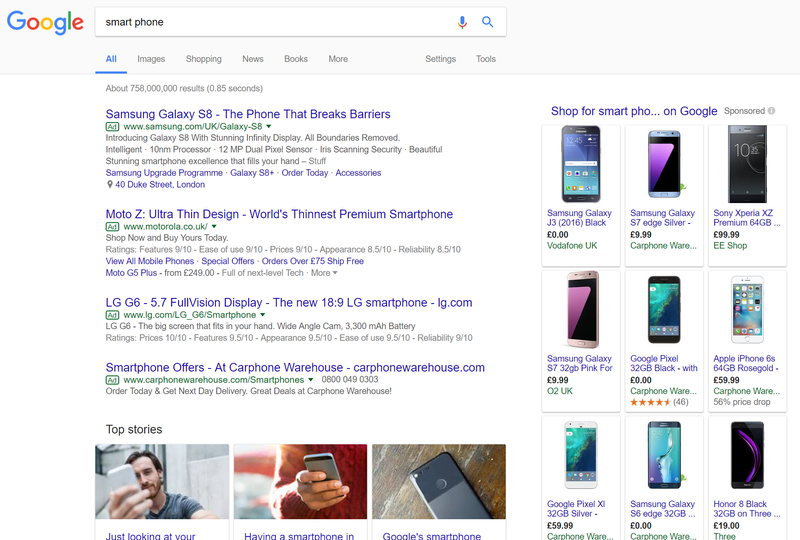 In fact, some of us make our living by selling these adverts 🙂 The Google shopping experience has become part and parcel of the Google search experience with Google shopping ads taking dominance down the right hand side of the screen for a while. The EU is advocating that this is a clear misuse of market position and Google needs to show alternative shopping comparison engine results in their results too. Why? Its Google’s platform, Google Shopping ads are paid for and they are not really promoting Googles own products? Let me explain my theory, so you do a search in Google for “smart phone” – Google shows an array of results including “shopping”. If the shopping ads were promoting the Google “Pixel” phone, I would get it. But they are not. There are shopping ads from all sorts of commercial organisations , offering all sorts of deals. The commercial companies have paid to be there, Google doesn’t make any money unless the shopping ad is clicked on, so whats the problem? Is this the beginning of the end for Pay Per Click advertising? Are the EU now going to rule that PPC on Google is a monopoly and they should include paid ads from other platforms? Interesting times ahead I think. One of the major revenue generators online has always been paying for premium advertising space in front of the right eyes at the right time. Google is capitalizing on this, is it unfair or are they striving to give us a better searching/shopping experience each time? I am interested to see how this pans out, how Google respond to it and more importantly , what you think? Swipe left – John Chacksfield is the owner of Sharpmonkeys a digital marketing agency in Worcester – John also lectures in marketing for the CIM and is an approved Design Council mentor and tutor for Professional Academy.